pretty leaves, will become so much more pleasant when those hands are kept warm! pocket ensures this pattern will be a hit with every kid. 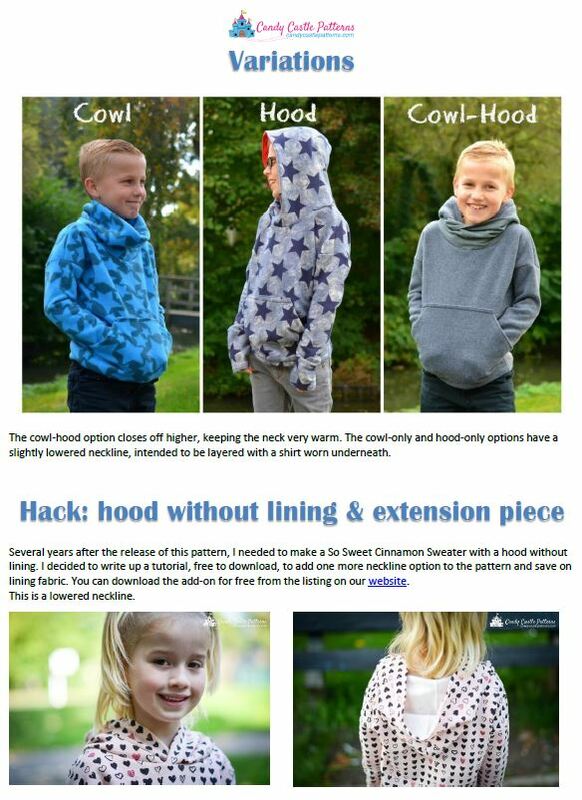 There is also a free add-on available to create a hood without lining (see below). absolutely certain to get a lot of use out of this snuggly sweater! 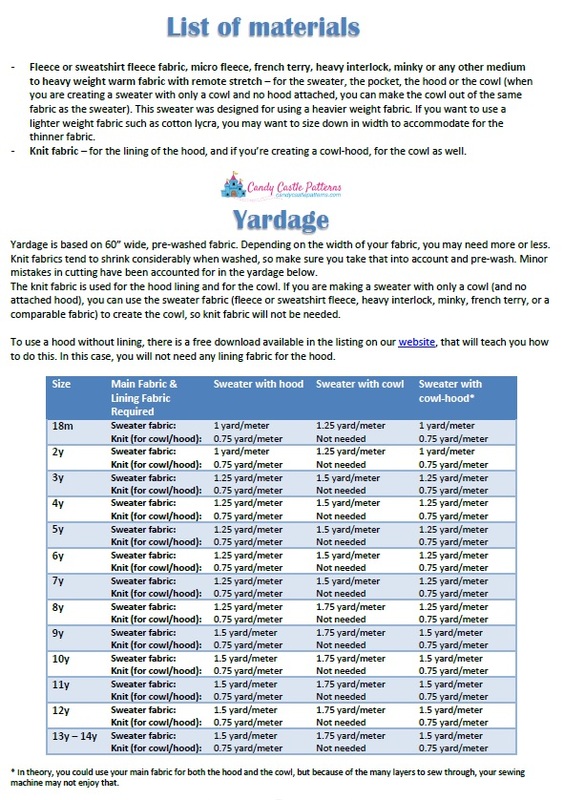 are often cheaper than buying yardage! This pattern was designed to match with our adult sweater pattern: Cinnamon Latte Adult Sweater.